Simple Nail art designs is our target to address today. When we discuss about beauty of a woman or fashion to be followed, the most inevitable part of yours looks can be yours well maintained nails. Never ever ignore your nails. Bad nails can really spoil your image and make you look ugly or untidy. If you have a look at a vanity of a female, you will find N numbers of nail paints in her box. How can anyone, stay away from those lovely colors and the after look that it gives into the hands and entire look. Now the things are not limited to just Nail paints, but nail art has taken its place. You would love to see the lovely colors and patterns on the nails of gals. 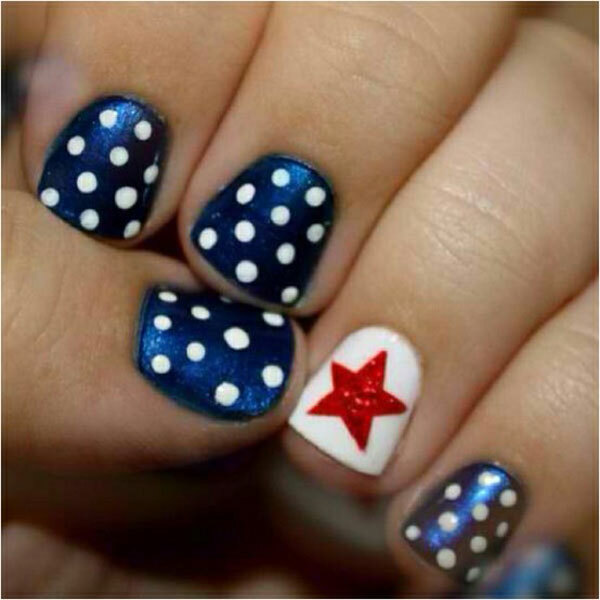 For the beginners, we have come up with some lovely designs of simple nail art for beginners. 1. Have a look at the vibrant colors, red and black. From the way the work is done, seems to be done by a beginner but because of the perfect combination of colors and style, it is looking so attractive. 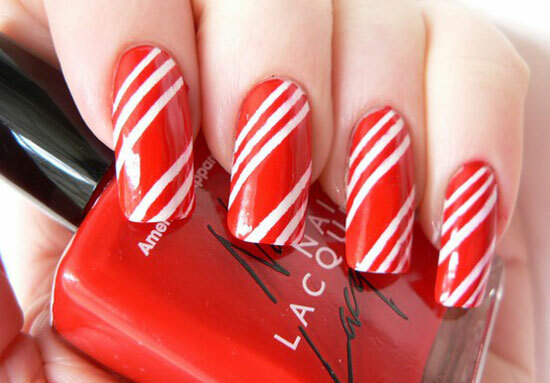 You can achieve a great precision, if you do simple nail art designs step by step. 2. All you need here is colors in your palette. Just have a nail art kit, you won’t be requiring any particular precision to complete this task and the end result is cool and easy nail design. 3. What a charming combination of colors is created! For making this design, you need to have four basic color magenta, red, black and white. Apply the base coats. Take out your nail art kit and start making this fun design from this color palette and its a challenge, if you don’t steal the attention of all eyes. Simple nail art designs for short nails and looks cute. 4. If you are a beginner and want to explore the world of cool nail arts and designs, then first select some basic colors that you should have in your vanity. Black and white are the basic necessity of nail art designs. Then go for some attractive colors that can give you an outstanding look. Go for orange, electric blue, red, turquoise blue, black and white. These are minimal animals of the simple nail art design world. 5. Simple, isn’t. Incredibly beautiful eye steal, I would say. 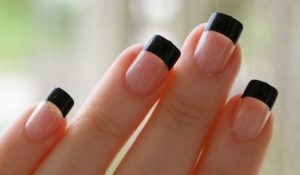 But before going for this particular nail art, go for a good manicure. This is going to look so stunning on you that a perfect manicure will add the cherry on the cake. 6. This simple nail art design will give you a fun look and it can go with so many colors of your wardrobe. Different designs on each nail, in fact makes it easy for the beginners to follow as you don’t have to be precise with your work. 7. This is a steal. Just apply the nail paint as you always do and stroke a line of gold. You can also strike it in your own way. Just the combination of colors is giving it a party look. You can find many easy nail art tutorials on the blog. 8. Never, skip to show your love for your nation in your personal way. And why not if it can look so attractive. This is also simple nail art designs for short nails. 9. Who says people with short nails can’t float cool nail art? 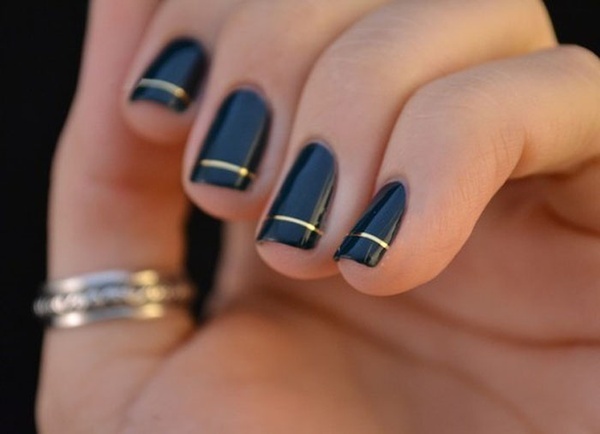 A very simple and easy nail do. 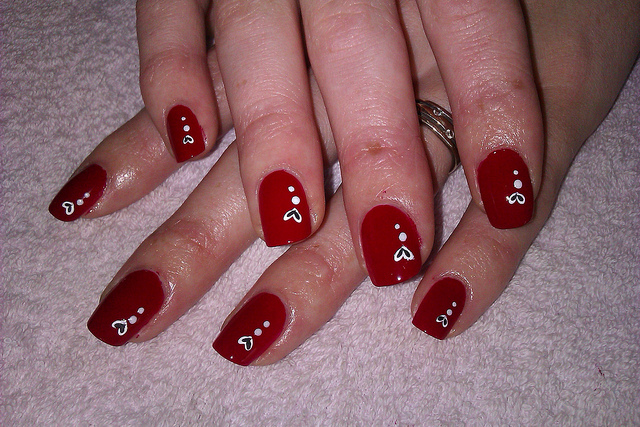 Simple nail art designs for short nails are creative at its best with the touch of simplicity. So all you upcoming nail art designers begin with this simple nail art designs for beginners and take a dip into the world of nail art. You will love to flaunt your nails and enjoy the attention you get.